PERECTLY LOCATED, ABOVE THE DAM AND BELOW THE FOOTHILLS WITH A MILLION DOLLAR VIEW FOR LESS THAN A MILLION!! 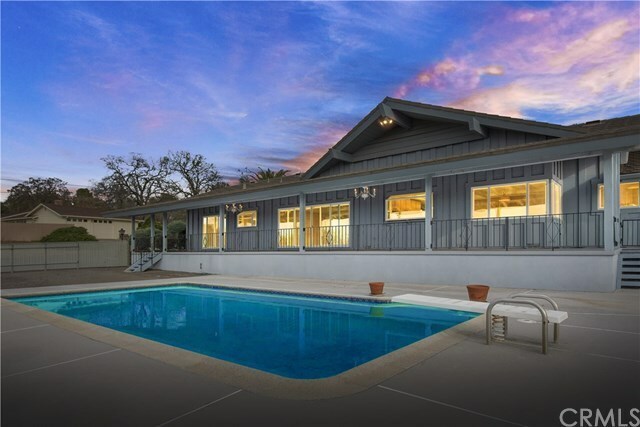 This custom built home w/swimming pool is waiting for your family. Views of the afterbay/forebay, Butte Mts & spillway. Three bedroom, three bath custom built home has newer tile in bathrooms, laundry & kitchen and hardwood in entry and family room. Corian counter in kitchen with electric stove top, builtin microwave/oven. Large brick fireplace and inside BBQ. This fantastic home is perfect for entertaining. Located on 1/2 acre provides space for RV & boat parking and ample parking for your house warming. Don't miss this opportunity to own this home.